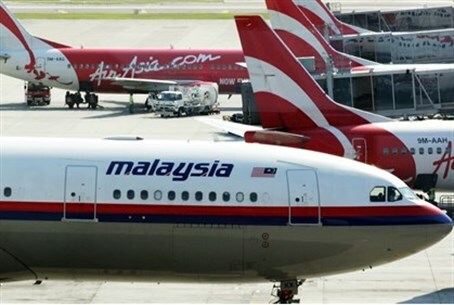 MainAll NewsForeign AffairsMalaysia Airlines Flight 370: A Suicide Mission? Malaysia Airlines Flight 370: A Suicide Mission? Malaysian authorities declared long-missing Malaysia Airlines Flight 370 "lost in the Indian Ocean" with "no survivors" on Tuesday, sparking fury and grief for bereaving relatives. But despite the admission that the search for the plane is not expected to succeed, theories continue to fly long after the plane has crashed. The Telegraph UK suggested on Tuesday that the plane's crash was deliberate: a suicide attempt on the part of the pilot. “This has been a deliberate act by someone on board who had to have had the detailed knowledge to do what was done... Nothing is emerging that points to a motive,” an unnamed source told the daily. The source added that an analysis of the flight’s routing, signaling and communications reveals the plane was flown "in a rational way" - ruling out the possibility of an accident or terrorist hijacking. Terence Fan, an aviation expert at Singapore Management University, told the Herald Sun Tuesday that a suicide bid “was possible and if that’s the case there might not be a lot of debris because the plane would have come down in relative structural integrity." According to the Sun, this fits with the lack of debris found so far. However, critics note that there is no evidence for a motive on the part of the pilot or co-pilot to hijack or crash the plane. One theory that emerged over the past two weeks includes the possibility that one of them hijacked the plane for political clauses - Captain Zahrie Shah was an avid supporter of Malaysia's Opposition - but that does not provide sufficient motive for suicide. In addition, friends and relatives of the captain have stated over and over again that he was a man of experience and integrity. Another British publication, the Daily Mail, suggests the opposite: that the pilots were not at fault, and that the plane had been "flying blind" for several hours before crashing. The Mail cites Canadian pilot Chris Goodfellow, who suggested in a viral Google Plus post earlier this week that Captain Shah was a hero, not a hijacker. According to Goodfellow, a fire broke out on Flight 370 - and the plane crashed after the crew succumbed to smoke inhalation. The nearest airport, according to Goodfellow, is the runway at 13,000 foot strip Palau Langkawi, and that is directly where the aircraft was heading when it was last tracked. Good pilots always try to land the plane at the nearest runway during emergencies, and Goodfellow believes that Shah's last actions were trying to save the lives of all onboard. He predicts the plane went down somewhere near the Maldives. "We old pilots were always drilled to always know the closest airport of safe harbor while in cruise. Always," Goodfellow wrote. "Instinctively when I saw that left turn with a direct heading I knew he was heading for an airport." He said he immediately brought up Google Earth and discovered the runway, which had fewer obstacles blocking the plane's approach than if Shah had attempted to return to Kuala Lumpur. "This pilot did all the right things. He was confronted by some major event aboard that made him make that immediate turn back to the closest safe airport," he says in the post. In later posts, he cited several witness reports saying that a plane had been sighted flying low over the Maldives - a very real destination along Flight 370's flight path. As for the likelihood of the sequence of events playing out in the event of a fire, Goodfellow insists the loss of transponders and communications makes 'perfect sense' in such a scenario. He theorizes an electrical fire may have started inside the plane, perhaps incapacitating crew with smoke. The plane's cargo - which reportedly included a shipment of lithium batteries - may have ignited. According to the pilot, all the circumstances that night - a full plane, hot weather, and a long run takeoff runway - make this incident all the more plausible. As for the last voice transmission, Goodfellow told the Mail that "Good night" is a customary send-off among newer pilots and that, if anything, this indicates everything was OK in the cockpit at the time. He is astounded that officials and experts have not considered this chain of events in the investigation so far. Goodfellow's theory is not without precedent; a similar incident tragically happened on a Helios Airways flight in 2005. Helios Airways Flight 522 crashed on August 14, 2005 after several hours of "flying blind." Passengers and crew succumbed to oxygen deprivation during the short flight from Athens to Lanarca - though from a technical problem with air pressurization, not a fire - and a flight attendant, the last person to succumb to hypoxia, placed the aircraft in a holding pattern for several hours while he tried unsuccessfully to land the plane. Greek authorities were only alerted to the tragedy, however, after numerous attempts at audio contact were established - causing several F-16s to be dispatched to establish visual contact with the plane. Only then did they see that the crew was slumped over, motionless, with oxygen masks hanging in the cabin. In Malaysia Airlines Flight 370's case, such an investigation was impossible as it ventured deep into the Indian Ocean.